Peptide, biologically, is a compound consisting of two or more amino acids linked in a chain, the carboxyl group of each acid being joined to the amino group of the next by a bond of the type -OC-NH-. With the rapid development of technology and the great effort of scientists, many kinds of peptides are found and known. They have been classified or categorized according to their sources and function. According to the Handbook of Biologically Active Peptides, some groups of peptides include plant peptides, bacterial/antibiotic peptides, fungal peptides, invertebrate peptides, amphibian/skin peptides, venom peptides, cancer/anticancer peptides, vaccine peptides, immune/inflammatory peptides, brain peptides, endocrine peptides, ingestive peptides, gastrointestinal peptides, cardiovascular peptides, renal peptides, respiratory peptides, opiate peptides, neurotrophic peptides, and blood–brain peptides. Peptides are amino acid compounds, the building blocks of proteins, which tell the body to perform specific functions. Different peptides will achieve different topical results. According to various research and study, among cells, peptides can perform biological functions. For example, some peptides act as hormones, such as GHRP-2 & GHRP-6, which are molecules that when released from cells affect other areas of the body. Some peptides is used for better sleep and brain help, DSIP (Delta Sleep Inducing Peptide) for example. Other peptides like Melanotan 2 is generally for tanning, without a long-term sun tan which may caused skin cancer under lots of research papers. PT-141, a libido peptide, which is used to treat sexual dysfunction in women as well as hemorrhagic shock, and reperfusion injury. While some other peptides are originally for repair function, which is widely used today in both animals and human being. Thymosin Beta 4 (TB-500) is a muscle recovery drug. It is present in the body and is commonly found in the skeletal muscles and all muscles of the body. 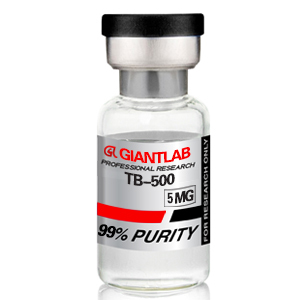 Many bodybuilders inject TB-500 into their body to increase the healing process of their naturally occurring TB-500. It has a vital role in injury repair and building new blood vessels, new small muscle tissue fibers, cell migration and blood cell reproduction. The main focus of using TB-500 is to increase the production of Actin in the body that is associated with muscle repair. Researchers have conducted numerous rodent studies on BPC-157, that show it has protective effects extending beyond the stomach and intestinal tract. BPC-157 has been shown to benefit ulcers in the stomach, intestinal damage such as fistulas and inflammatory disorders, bone and joint healing and growth rates, and organ damage. It also has some influences on the brain. Researchers have observed marked protective effects when BPC-157 is administired to rats alongside a research toxin or damaging surgical procedure.